Sparkling Direct Provide next day Champagne delivery service in Scotland, all gifts ordered before 4pm Monday to Thursday. Saturday deliveries can be arranged. Champagne delivery in Scotland from single bottles to a case of 12 bottles. For single bottle gifts we have selected our top Selling Champagnes, these are Veuve Clicquot Champagne, Moet & Chandon Brut Imperial, Louis Roederer, Bollinger Champagne, Lanson Black Label, Laurent Perrier Rose and Moet and Chandon Vintage. All Prices Include delivery in Scotland. Champagne is perfect for saying thank you or congratulations. Our service enables you to send gifts anywhere in the uk mainland to home or business addresses. 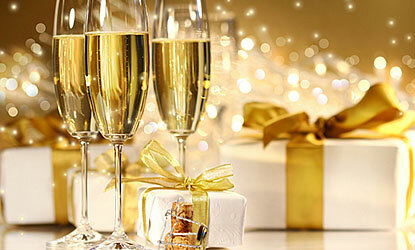 We offer exceptional value on Champagne case deals. This is perfect for special occasions like weddings, christmas parties, receptions, your engagement party the list is ongoing. Champagne gift message, create your personal message online which will be printed onto a gift card and inserted with your gift.